Braden Crockett stands as an Associate Vice President and Director of Matthews Retail Advisors™ STNL Retail division. Braden and his team specialize in advisory consulting for the disposition and acquisition of retail properties nationwide for Quick Service Restaurants (QSR’s), Casual Dining and the Auto Sector. Braden has established strong working relationships with many of the industry’s largest retailers and franchisees for Hardee’s, Carl’s Jr., KFC, Wendy’s, Applebee’s, IHOP, Firestone, Goodyear, Pep Boys, TBC Corporation, Jiffy Lube, Brakes Plus, Valvoline, Midas and many others. In addition to net lease transactions, Braden also consults with some of the nation’s largest retail developers on new development opportunities and pairing them with some of the Top Franchisees who are interested in expansion. Prior to his current role at Matthews Retail Advisors, Braden served at Colliers International and quickly became a top producer by generating more revenue than any other 1st year broker nationwide. During his tenure with Collier’s, Braden created valuable relationships with some of the nation’s largest institutions, developers, syndicators, lenders, high net worth individuals, and REITs. 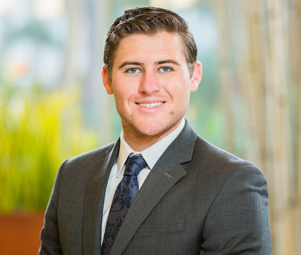 Braden has been successful in maximizing pricing for his for clients and has been successful in setting national cap rate records across multiple product types. Today, Braden mainly focuses his attention on developing Acquisition, Sale Leaseback Financing and Expansion Strategies for some of the largest tenants in the country.